Trivalley Electronics sells computers with upgraded configurations. If the computer has modifications (listed above), then the manufacturer box is opened for it to be tested and inspected and to install the upgrades to achieve the specifications as advertised. If no modifications are listed, the item is unopened and untested. Defects & blemishes are significantly reduced by our in depth inspection & testing. 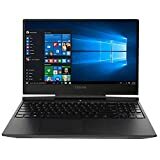 Technical Specifications:Display: 15.6" Full HD (1920 x 1080) widescreen LED-backlit IPS display (144Hz Refresh Rate, 300nit Brightness & 72% NTSC )Processor: 8th Generation Intel Core i7-8750H 6-Core Processor (Up to 4.1GHz) with Windows 10 Home 64 BitStorage Drive: Choose your SSD, up to 128GB/256GB/512GB/1TB SSD and/or Secondar 1TB/2TB HDD for more storage. 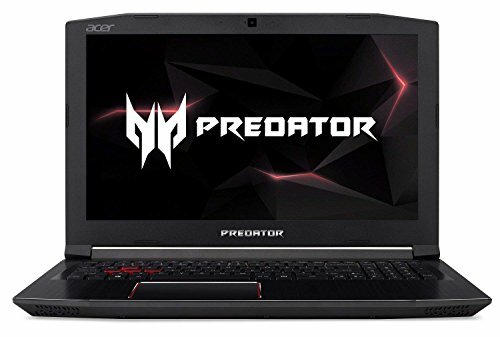 Memory RAM: Choose your RAM, up to 8GB/16GB/24GB/32GB DDR4Network: 802.11ac, BluetoothGraphics: NVIDIA GeForce GTX 1060 Overclockable Graphics with 6 GB of dedicated GDDR5 VRAM Audio: Dolby Audio SpeakersWebcam: HD Webcam (1280 x 720) supporting (SHDR)Keyboard: Backlit KeyboardMulti-format Digital Media Reader: SD card readerOperating System: Windows 10 Home 64-bitBattery: 4-cell lithium batteryPorts: 1 x USB 3.01 x USB 3.1 Type-C2 x USB 2.01 x HDMI 2.01 x Headphone/microphone combo jackDimensions (WxHxD): 15.35 x 10.47 x 1.05 inWeight: 5.51 lbsNote: NO DVD.